Dino Nguyen, M.D., is a board certified family medicine physician serving patients 6 months of age and older. 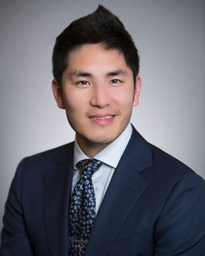 Dr. Nguyen earned his medical degree from University of Texas Medical School in Houston where he also completed his residency and served as Chief Resident. Early on, Dr. Nguyen enjoyed science and saw medicine as opportunity to turn his interest in the subject into a fulfilling career. Dr. Nguyen sees patients for a variety of reasons including injuries such as sprains, cuts, broken bones, and illnesses such as colds, sinus infections, and allergies. His clinical interests include managing hypertension, as well as mental illness. When it comes to patient care, Dr. Nguyen believes in taking a team based approach to ensure the patient agrees with and understands their treatment plan. In his spare time, Dr. Nguyen enjoys volunteering in his community and spending time with his family.